Here’s a not so scary skeleton for the little ones. You will need 13 toilet paper tubes and 3 paper towel tubes, so start saving! I find it is easiest to paint all the tubes first. I used white tempera but acrylic or spray paint would also work. You will need 4 vertebrae connectors. 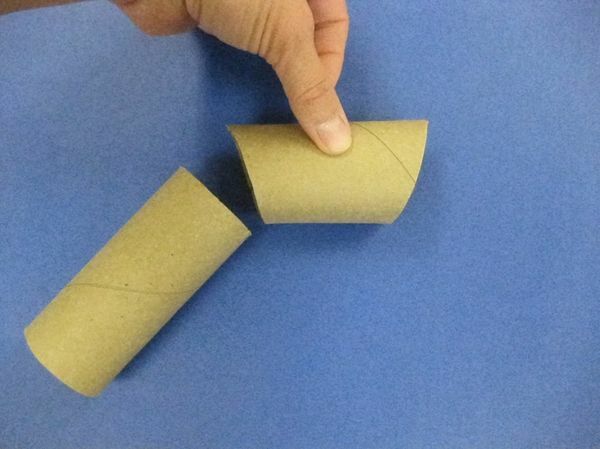 Cut one of the toilet paper tubes into four pieces. 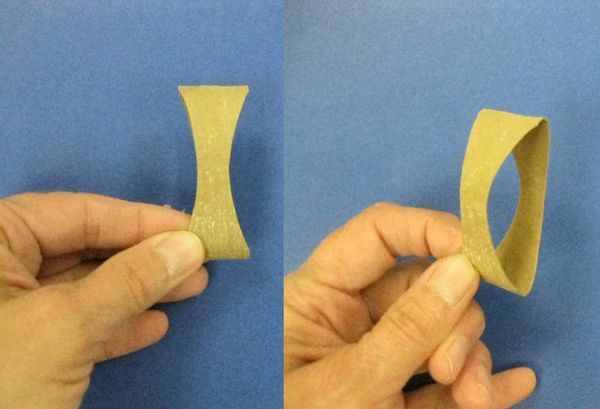 Following the photograph above, make inward curves into each side of the section so it resembles an apple core. This will make your connections smoother and the skeleton model stronger. You will need two sets of legs. 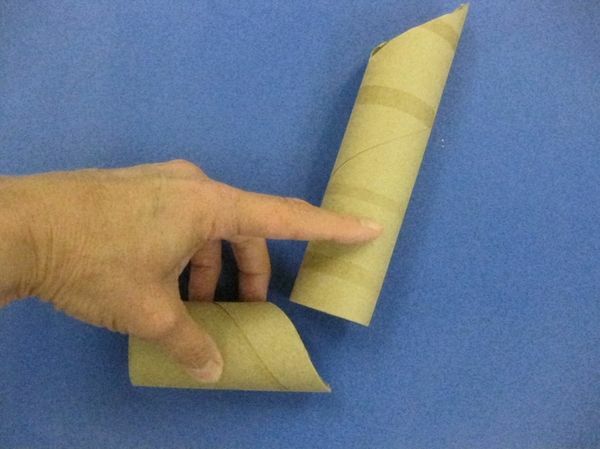 Each leg is comprised of one paper towel tube and one toilet paper tube. Cut at the angles pictured above. Hot glue together. 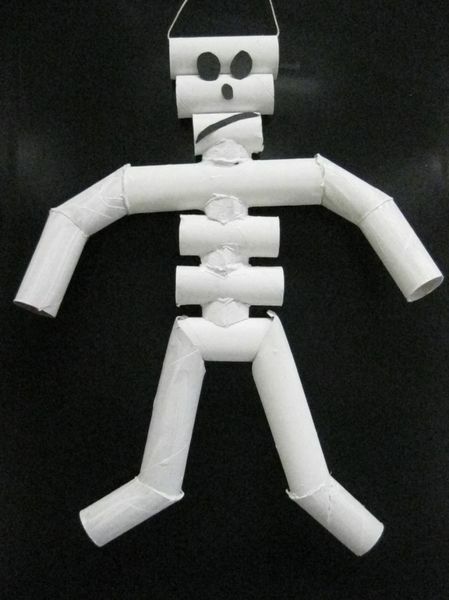 Likewise, you will need two sets of arms, each comprised of two toilet paper tubes cut at the angles pictured above. 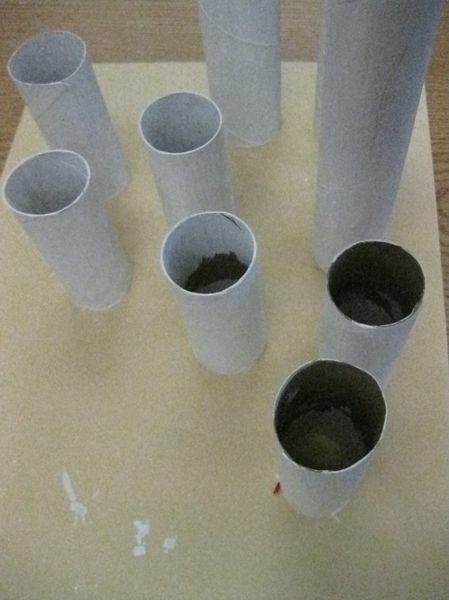 Notice that one tube is uncut, while the other is cut at each end. Hot glues these together. 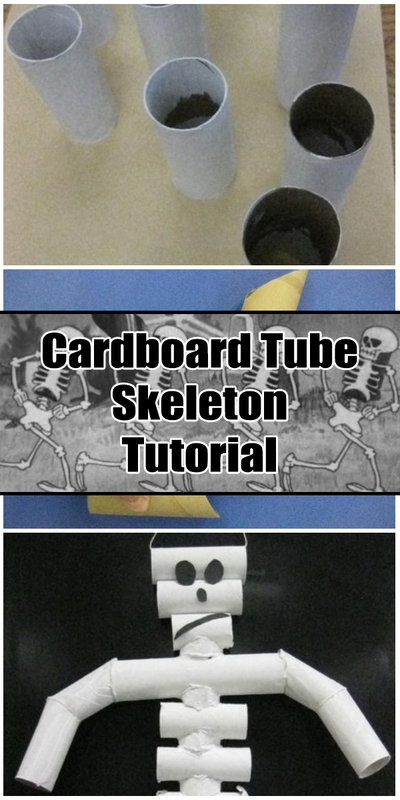 Using the photo of the completed skeleton as your guide, hot glue the pieces together. Use black construction paper or felt for the eyes, nose and mouth. The model hangs easily by stringing a length of yarn or twine through the tube forming the top of the skull.